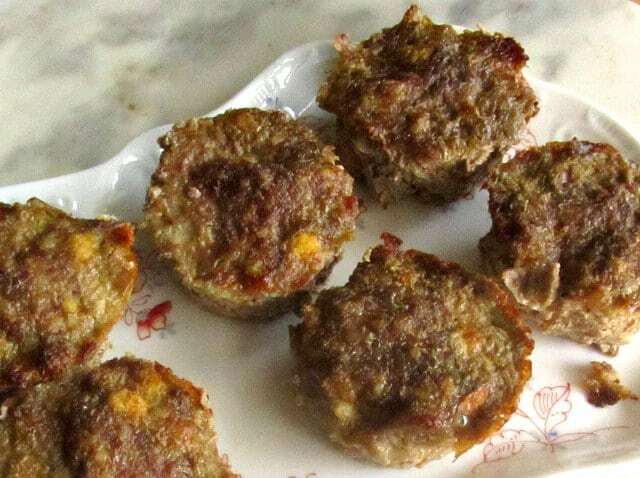 Sausage meatloaf muffins – easy to make, because the seasoning is right in your meat! They freeze and reheat beautifully, and taste good cold as a terrific packed lunch. Perfect for meal planning. It’s really nearly three years since I posted my Quinoa Meatloaf recipe? And I haven’t written up any meatloaf since? 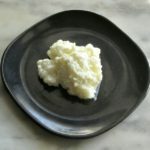 Well – high time I add to my recipes for this classic food! Meatloaf is a lifesaver… It does take a little time to make (though one reason I like the muffins is that that approach cuts the oven time nearly in half!) but then you have enough for several meals. It’s good cold, it reheats beautifully (and again – the muffins heat very easily – they go straight from freezer to microwave to plate!) And this recipe is as simple as they get. True story – one of the first dinners I made when we moved here was the quinoa meatloaf (which I already knew the parents liked) in muffins. And I froze most of it. And that is how I gave the parents a good dinner several days later when the movers arrived hours late (in horrible weather conditions!) They had to bring in our possessions all evening. 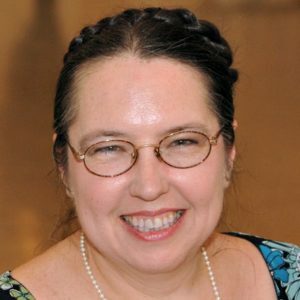 I just had to step away from the door long enough to pop the meatloaf muffins in the microwave, add some frozen vegetables, get out some bread… and run it out to the sunroom where the parents (and the cats) were staying safely out of the way! Most often I make the quinoa meatloaf – it really has become our favorite! But I like some variety. Now, the great thing about sausage meatloaf is that you can get variety just by changing your sausage. Make no mistake – the flavor here is all about the sausage you use. 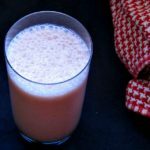 I used Country Sausage here (more commonly called Breakfast Sausage in New York, or sometimes Sage Sausage, though it doesn’t always include sage…) Any bulk sausage will work, though. I’ve been delighted to find here that I can get both Italian sausage and Chorizo in bulk – I used to sometimes cut the casings to get Italian sausage out to use it in a recipe! Anyway, I had this muffin, and decided the flavor would work very well with breakfast sausage (I eat muffins and sausage for breakfast, after all!) so I used it, and it was good. Don’t need to add any seasoning at all – sausage always has enough salt, and whatever herbs and spices are in the mix. Beat three eggs in a bowl. Crumble a corn muffin and add it. 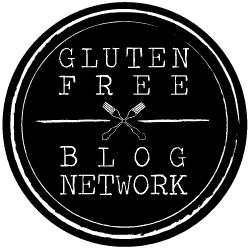 (Gluten free muffin, of course, if you need the recipe to be – if not, whatever you have. And stale is just fine…) Add half a cup of mirepoix. (Break it up if frozen. If you just sauteed it, cool it a bit first, and crumble the corn muffin into it to cool – you don’t want the heat of the vegetables to cook the egg.) Mix this all together. 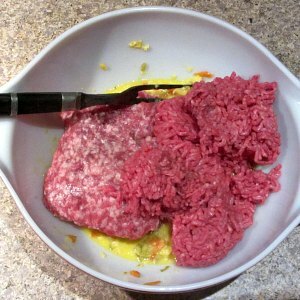 Add a pound of bulk sausage, and a pound of ground meat. 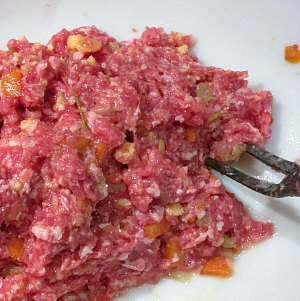 I used country sausage and ground chuck, here, but both can be varied to your own taste. 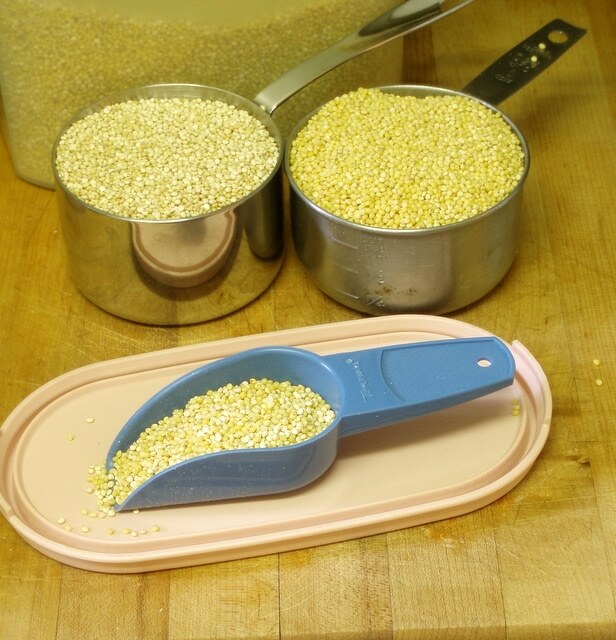 Mix it all very well – I like to use a two tined cooking fork because it doesn’t mush it, but keeps the mixture light. Now spoon it all into your muffin tin. 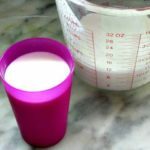 I used two 6 cup tins and got a dozen muffins – I do know that some 12 cup tins have smaller cups, so you may have to mound the meat slightly to make it fit. Bake at 350° for half an hour. Now, Rich and I usually eat two sausage meatloaf muffins each, but the parents’ appetites can vary. If I have four left, that will be fine, here. We sometimes need a meal for me if they really want pizza or Chinese takeout or something else I can’t eat. And we will need easy things I can prep for them to heat up for themselves if we go out for an evening (which we definitely intend to do!) It’s all good – and indeed – it is good. 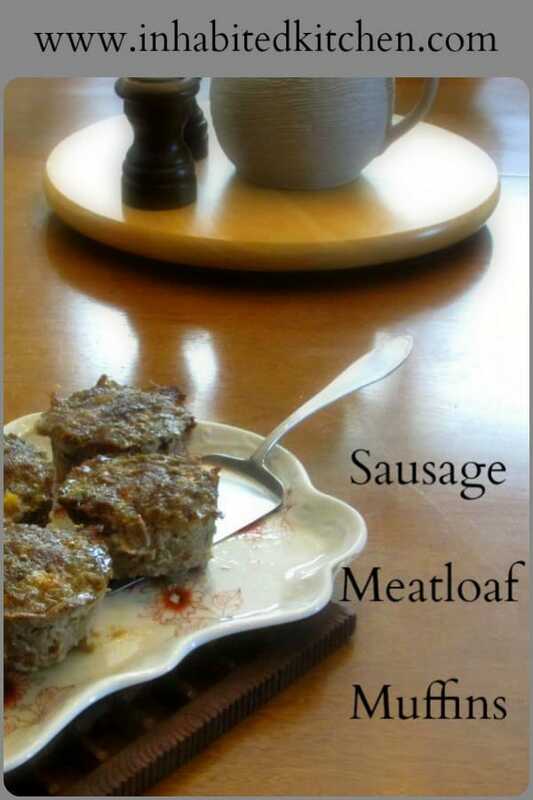 Sausage meatloaf muffins - easy to make, because the seasoning is right in your meat! They freeze and reheat beautifully, and taste good cold as a terrific packed lunch. Perfect for meal planning. Beat eggs in a bowl. 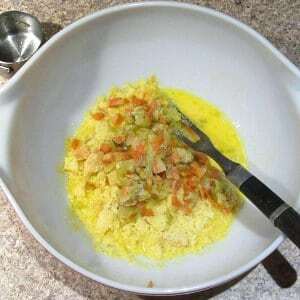 Crumble muffin into egg mixture, and add mirepoix. Mix well. Add both kinds of meat. Mix well with each other and the egg mixture. Let cool five minutes in pans before removing. These freeze and reheat well. If you prefer a traditional loaf, bake for 50 minutes. 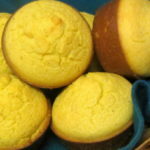 Corn Muffins From Homemade Mix! 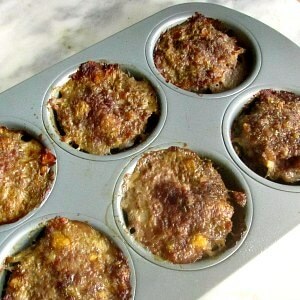 These meatloaf muffins look amazing. I like that you used a leftover corn muffin as the bread, and I agree that using sausage simplifies the preparation process because you don't need to add any additional seasoning. These are a great idea. I have pinned this recipe and will definitely be making it soon. I found that this is a neat part of going gluten free. It's challenged me not just to find substitutes for regular wheat bread, but to find things that actually add flavor! I use corn muffins and nuts and quinoa, and find the food tastes better! (Who knew? LOL) Thanks! LOL - you know, I didn't even think of these for breakfast (even though I used breakfast sausage!) But you're right, they'd be great, for all the same reasons they're good for lunch. Thank you! How fun and what a great idea!! 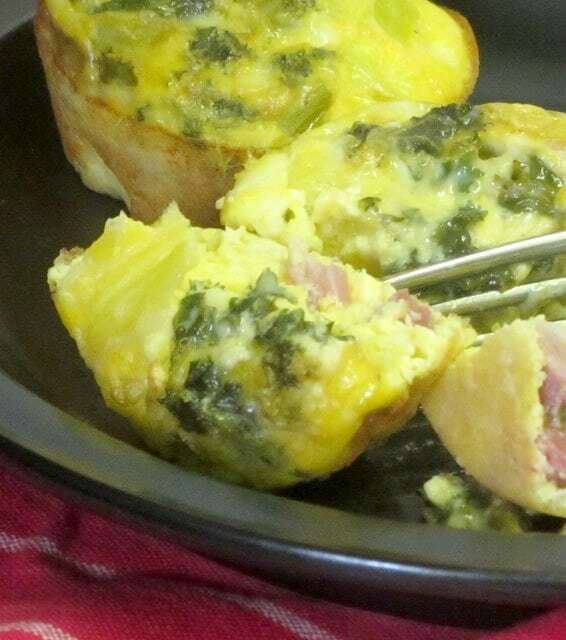 These look delicious and perfect for breakfast or lunch on the go! My hubby is going to adore these and I can't wait to make them! Oh, great, I hope he does! And they are so easy to pack. Thank you! This is such a good idea! Since I'm going into an office again, I need to start doing more meal prep. These would be perfect to take for lunch! Working from home and going in to a job are so different for meal planning, aren't they? 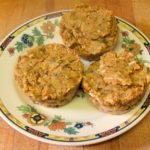 LOL And yes, I carried earlier versions of meatloaf muffins to gigs - I could even toss frozen ones into my bag on a warm day and they'd be thawed - bust still cool - by lunchtime. Very handy! Enjoy them! These muffin look amazing. Great for breakfast! Thank you! They would be! Now this is my kind of breakfast! 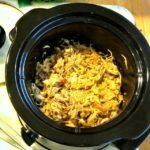 Homemade sausages you can freeze and reheat for a quick but hearty breakfast works for me! Well - it's not quite homemade sausage - I did mix commercial sausage with other meat. But it is very convenient. Thank you! I could see having these yummy muffins for a quick breakfast or lunch. I really like how easy they are to make and the fact that I can freeze them. Thank you - they're so good, and so convenient! 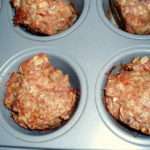 I had never thought of using a muffin tin for meatloaf but I can see it is a fun and great idea! This would be perfect for a quick morning breakfast or be accompanying our weekend brunches. Pinning to try later. That's a nice combination! I like being able to change the seasoning just by using different sausage... Enjoy! Meatloaf in muffin form? That sounds perfect to me! Thank you - they are so convenient! Cute too - visually appealing, which makes them more appetizing itself. So versatile these meat loaf muffins are! I am attracted to anything that' can be had on the go and these fit the bill perfectly!